Photograph the beautiful Bay Area from the best points of view in a private guided tour with me. 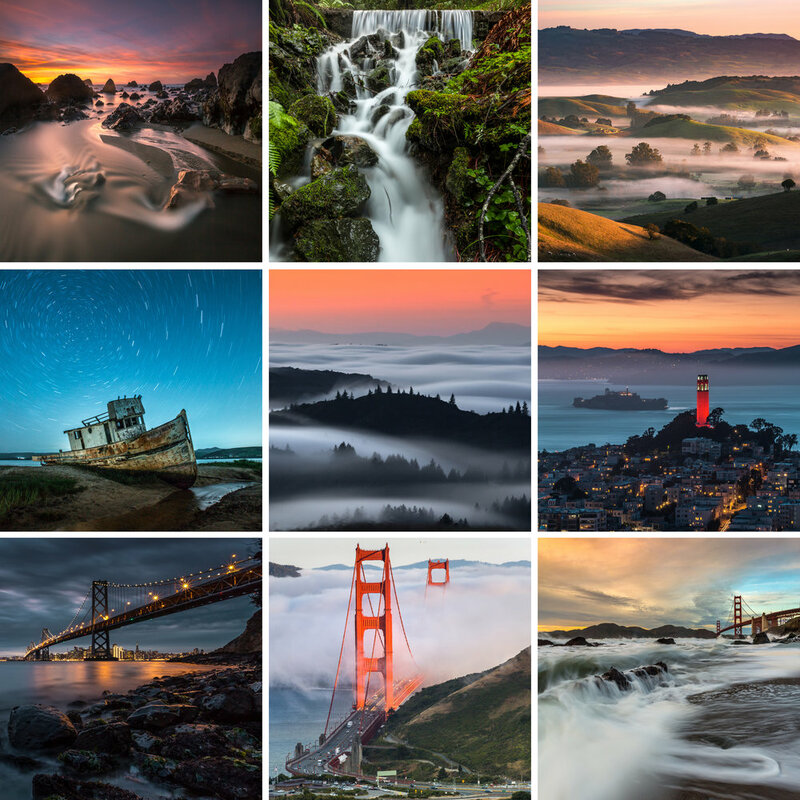 Enjoy choice vistas of our iconic Bay Area bridges, check out downtown SF, hike the hills of mystical Mount Tamalpais, cruise the winding roads of West Marin, walk among redwoods and explore the rocky coast line—all in one day! These sessions are designed for photographers who are less interested in instruction, and more in finding certain hard to reach locations that lie off the beaten path. We will customize a route based on your interests, and daily/seasonal conditions. Since I first arrived here years ago, I've spent virtually all my time exploring the beautiful surrounding terrain from Monterey to Mendocino, with an emphasis on Marin County where I currently reside. These full day excursions typically last 6-8 hours, and cost $500. I offer the option of splitting a full day into two half day sessions (sunrise + sunset—same day) if the participant wishes. Single half day (3-4 hr.) trips cost $300. Extended hours and multi day tours can be arranged on an individual basis. * $100 fee for each additional attendee. None! You don't have to be a photographer to take the tour, but you'll probably get more out of it if you bring your camera. We will likely be walking/hiking distances of 1-2 miles at a time throughout the day. Wear comfortable footwear. Be prepared to potentially get wet. Dress in layers to manage the Bay Area micro-climates we may encounter!